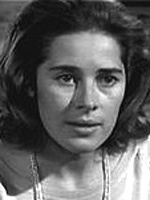 Joan Hackett appeared on Stage, Big and Small Screen, and radio. She was in TV's Young Doctor Malone and CBS's The Defenders with E.G. Marshall. I remember her from Support Your Local Sheriff. She was so cute and natural as an actress. She totally nailed both roles in my opinion. Taken to soon. She was a great actress, I loved her vulnerability . She had two excellent performances with two unrelated "Simon's"; musician Paul, in his writing and feature debut "One Trick Pony" and Neil Simon's "Only When I Laugh". She always brought a subtle naturalness to her characters.